Photos courtesy of Asplundh Tree Expert Co. and ROUSH CleanTech. 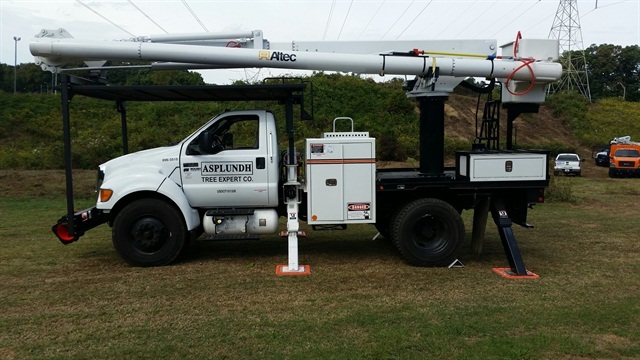 This is the first propane-powered bucket truck entering Asplundh's fleet. 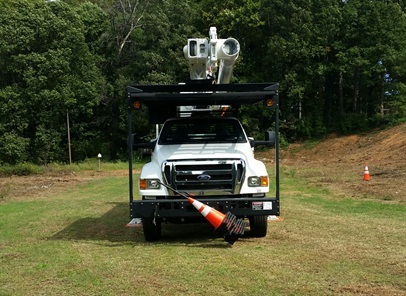 For the first time, ROUSH CleanTech has built a Ford F-650 propane-autogas-powered bucket truck that will be used by vegetation management company Asplundh Tree Expert Co. 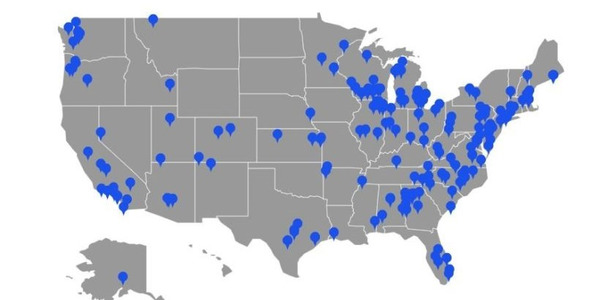 According to Todd Mouw, vice president at ROUSH CleanTech, Asplundh approached the company with the idea, helping to bring industry players together to come up with a solution that would work for a complex bucket truck with a 58-ft. aerial lift. Mouw said when Asplundh first approached ROUSH CleanTech, there were a lot of questions that had to be addressed, such as ensuring the power take-off and boom would operate at the same performance level as a gasoline-powered truck, and that the propane autogas tanks wouldn’t interfere with all the equipment normally on the trucks. 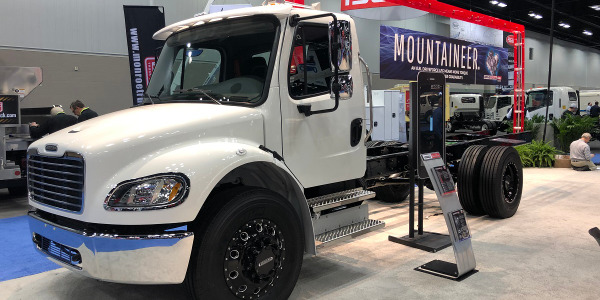 To make that happen, ROUSH CleanTech worked extensively with Altec Industries in upfitting the truck, which is based on an already existing F-650 propane chassis that ROUSH released about a year ago. Altec provided the needed expertise on aerial lift installation and any safety concerns in operating an aerial device. “Really, by the time you got the engineers from Altec and ROUSH and the folks from Asplundh together, it was about a 4-month process to make sure we got the truck built, did all the validation and all the testing, and looked at all the drawings,” Mouw said, adding that the process was aided by Asplundh operational input, allowing ROUSH to ensure a durable, scalable and low-cost product in developing a high GVWR propane autogas truck. 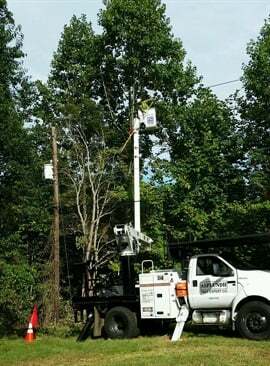 ROUSH and Asplundh also worked with Altec Industries on ensuring proper aerial lift installation and operation. John Talbot, director of fleet services at Asplundh, said they’ve had the truck since September and so far they’ve had zero issues. “Propane autogas offered us a fuel that’s well proven in the industry and it has an adequate infrastructure in terms of availability — plus it’s cost effective,” he said, adding that they had been on the search for an environmentally friendly and cost-effective alternative fuel for their medium-duty trucks. Talbot also said that another big win from using propane autogas trucks was the tank size. The propane autogas bucket truck being field-tested by Asplundh has two tanks that are equivalent in size to gasoline or diesel tanks. “Liquid propane tanks are much smaller than you would see with CNG,” Talbot said. The tanks are installed under the cab, maintaining a clean frame rail which allows for the installation of the aerial device and tool compartments. 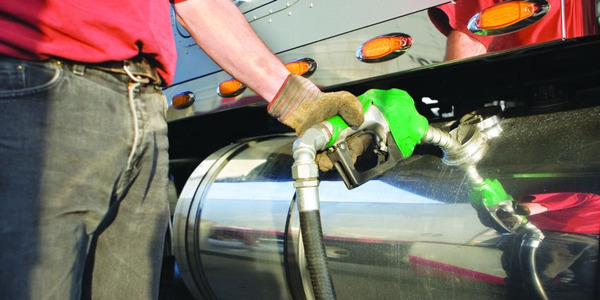 “In addition, these trucks can be refueled in the field with a propane tank truck — a bobtail could come to a job site to fill these trucks during off hours, and that flexibility would be a big improvement to efficiency,” Talbot said. For now, the company is using public stations, but will look at using mobile refueling services in the future. According to ROUSH CleanTech, the propane autogas bucket truck is expected to lower carbon emissions by about 117,000 lbs. over the lifetime of the vehicle. 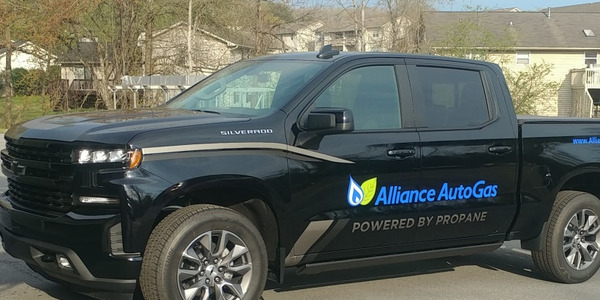 Asplundh provides vegetation management services to many natural gas and electric utilities, which are often pushing for more use of alternative fuels. “Our customers appreciate the efforts we’re making to improve the environment in a cost-effective way,” Talbot said. According to ROUSH CleanTech, the truck will reduce carbon emissions by 117,000 lbs. over the lifetime of the vehicle. 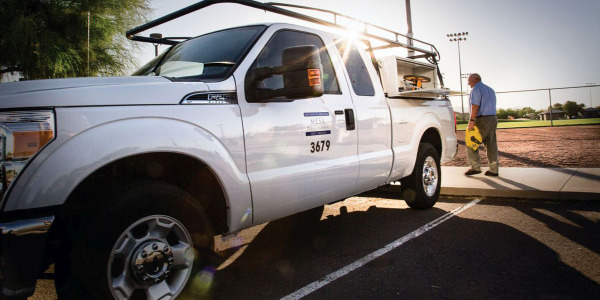 As a strong Ford user, Asplundh also needed the assurance that any propane autogas upfits wouldn’t void the OEM warranties. 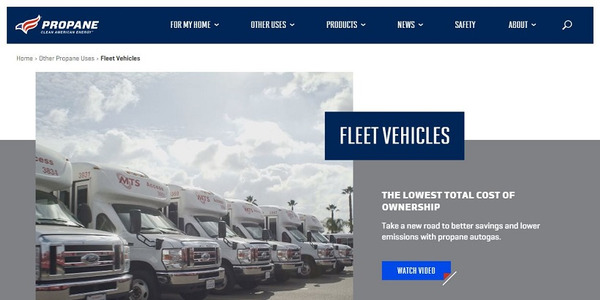 ROUSH CleanTech is a Ford Qualified Vehicle Modifier (QVM), which means that ROUSH CleanTech modifications won’t affect the truck’s powertrain warranty. 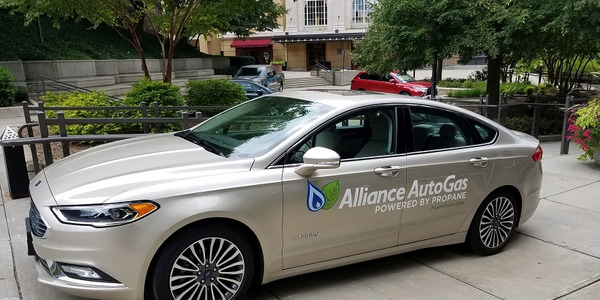 A “Clean Fuel Advanced Technology” grant from North Carolina State University helped fund one of two new propane autogas vehicles that Asplundh is currently operating. 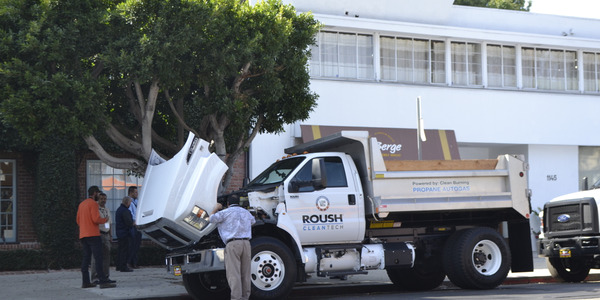 The second is a propane-autogas-powered chip dump truck, also by ROUSH CleanTech, being operated by an Asplundh-affiliated company in California. 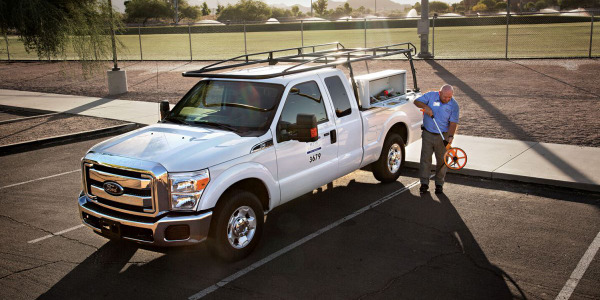 Read more about Propane Autogas ROUSH CleanTech Ford F-650 Bucket Trucks Asplundh Tree Expert Co.